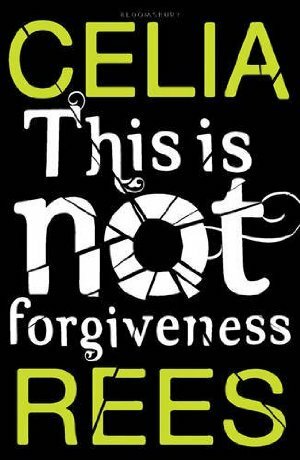 This is not forgiveness is a young adult psychological drama by Celia Rees. This book is not something I normally read. But when I saw it in the bookstore a few months ago and read the few lines on the back of the book I just had to buy it. And I have to say it was a book worth reading. I can’t say it was a nice story because it was not – there is a lot going on in this novel. First couple of pages it was a bit hard to get into the story. But after a few chapters I got a clearer picture of who was who and what was going on. I really liked the dialogues in this story. It’s very realistic. I like the writing style in general, how the thoughts, what characters say and do are incorporated. I also like how sincere the characters feel. I noticed myself hoping everything would turn out alright, that everything would be ok. The three points of view were really different from each other. Not just in font, but they really were different voices. You get enough information to keep you wondering, not so little that you are getting annoyed and not so much that you can predict what is happening. It was just enough. It’s unlike anything I’ve read before. Normally, I can really like a character or I don’t. I found it very hard to do so in this story. I really did not like Rob. My dislike only grew throughout the story. And Caro, she seemed ok in the beginning but as the story continued she wasn’t that great either. And then there was Jamie. He was the ‘normal’ guy. Caught up in the middle I guess. PS Curious about this book? You can find the official trailer here.